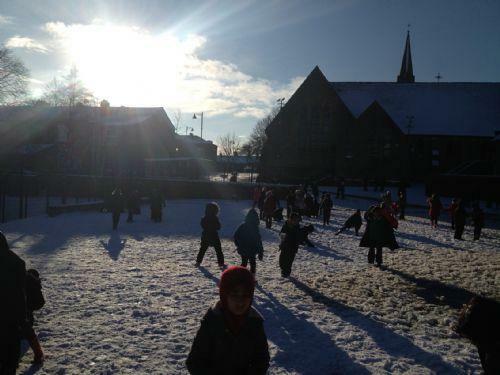 Even though the snow caused problems for people travelling around Oldham on Monday and many local schools were closed St Thomas's managed to open as normal. This was made possible due to the hard work of the Site Manager who cleared the snow from the paths and made the site safe for walking. 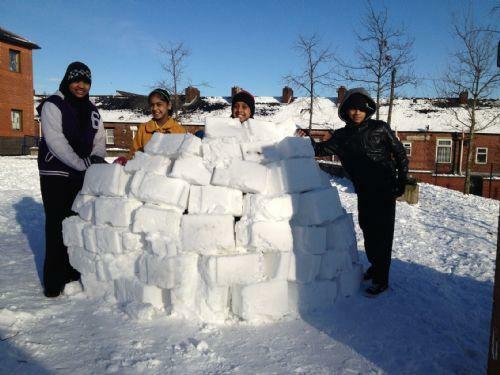 Mr McGrath and his Year 6 pupils took advantage of the weather to build an igloo! 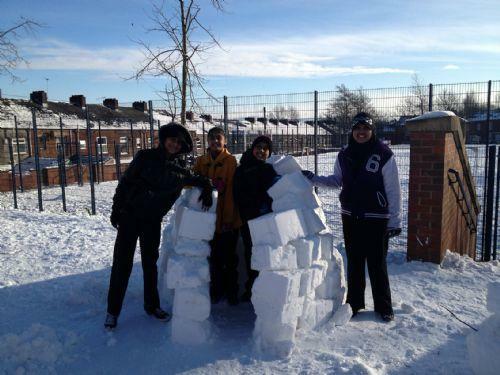 Miss McIntyre and her Year 3 class also spent some time outside and made a snowman!